August 2015 – I spent the entire month exploring Glacier National Park, and while I didn’t stay at any of them, I visited and took pictures of the three national park campgrounds that could accommodate my 35′ motorhome and tow vehicle: Apgar, Fish Creek and St. Mary. I never got around to doing a page about where I stayed at Mountain View RV Park in Columbia Falls. It was really a nice place and since somebody asked, I put some info below in Comments. But I think next time I’d like to stay closer to the park, maybe on the St. Mary side since I really didn’t get to see enough of it due to the wildfires going on at the time. Some of the sites seemed way too close to the road to me, though. I liked how these gave more room between the road and the site. 178 total sites (18 sites can accommodate up to a 35′ RV or truck/trailer combo). No hookups. Fish Creek is heavily forested with plenty of shade. Several sites have views of Lake McDonald. Potable water is accessible in the campground, and restroom facilities have flush toilets and sinks with running water. I couldn’t read any of the site numbers since they were covered with reservations signs. 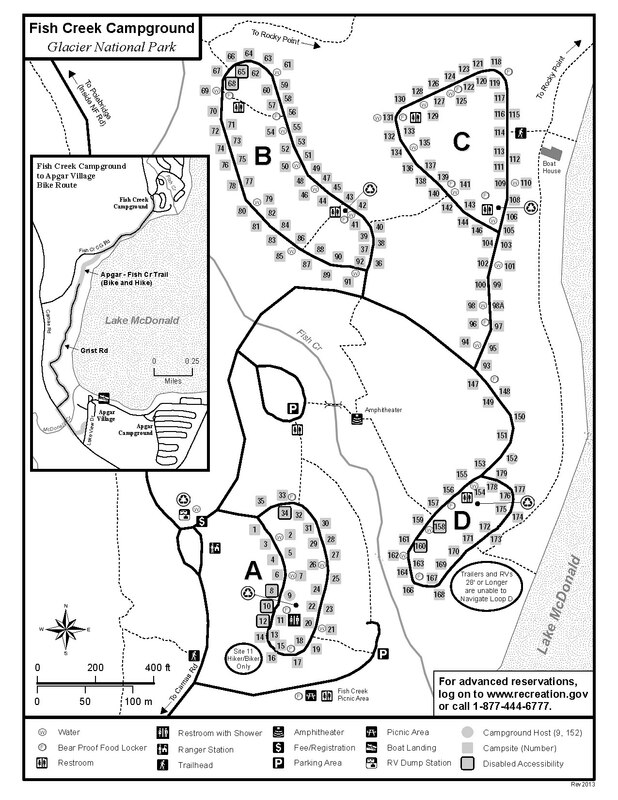 Most campgrounds in Glacier are first-come first-served with the exception of Fish Creek, St. Mary and half of the group sites in Apgar. Camping fees vary between $10-$23 dollars per night during the summer season. For prices of each individual campground, see Campground Status (lists all campgrounds). 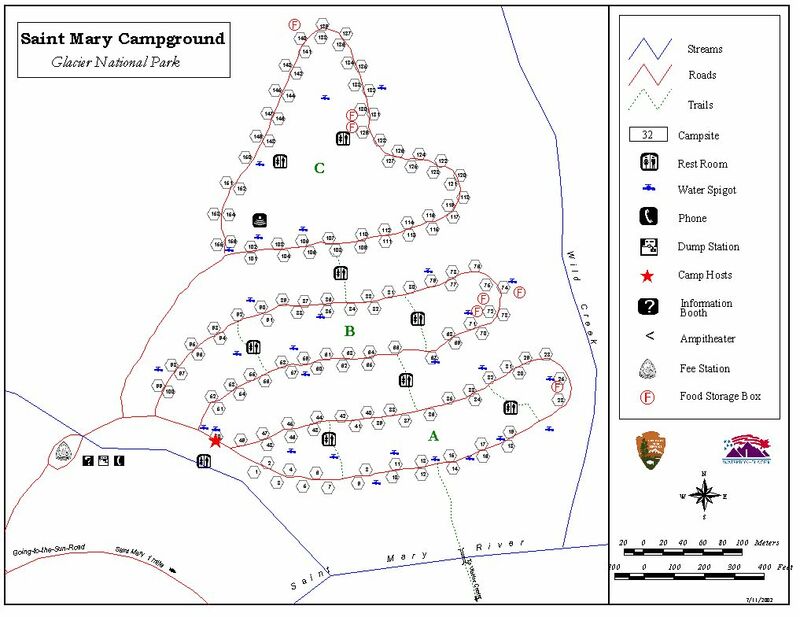 Reservations: For reservable campgrounds, once you choose your dates and other criteria, you can view pictures and details about each individual site available. Quiet Hours & Generator Use: Quiet hours are from 10:00 p.m. to 6:00 a.m. Generator use in campgrounds is permitted only during certain hours and not at every loop or every campground. I’d love to hear from other campers who have been here and have any input or tips to share in Comments below.